HALF TON TRUCK WITH 2 5/16" BALL REQUIRED TO TOW! NO MINI PICKUPS, CARS, VANS, OR SMALL SUV'S CAN TOW THIS UNIT. QUICKLY FILL FROM LAKE OR POND USING BUILT IN PUMP & 20' INTAKE HOSE, THROUGH VENTED 12" FILL PORT, OR AT FILL STATION USING 1 1'2" OR 2" QUICK DISCONNECT COUPLERS. 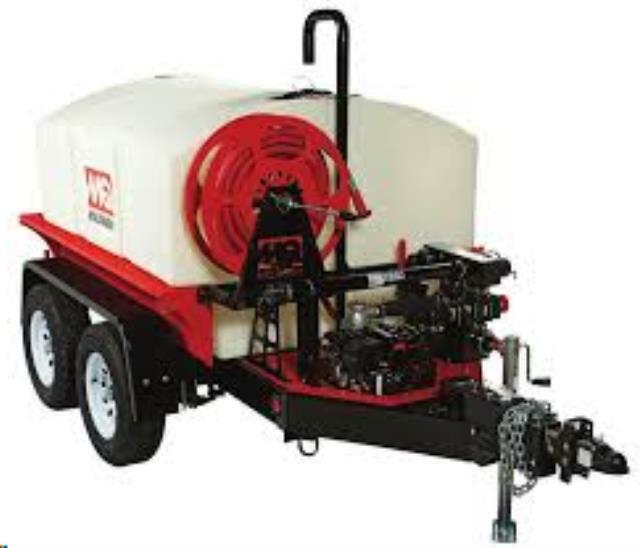 CONVENIENTLY DISCHARGE USING BUILT IN REAR SPRAY BAR ; THE INCLUDED 2" x 50' DISCHARGE HOSE ; OR 1" X 50' CONTRACTOR HOSE ON INDUSTRIAL SPOOL REEL WITH FIRE FOG NOZZLE, ALL POWERED BY ON-BOARD HONDA GAS PUMP.